Whether it's a basic one-page website or a comprehensive site, we have you catered for. For those who are wanting a more extensive site, including an 'about us' section and an inbuilt menu, this template is for you. 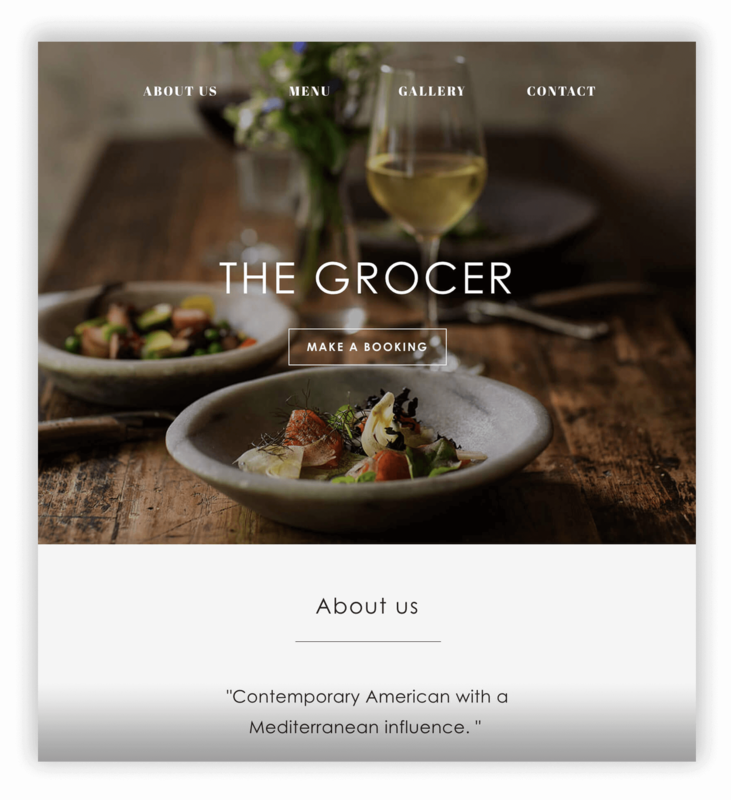 This template offers an 'about us, in-built menu layout, a scrolling image gallery, a contact form, location map and social media icons. Optimised for all devices. 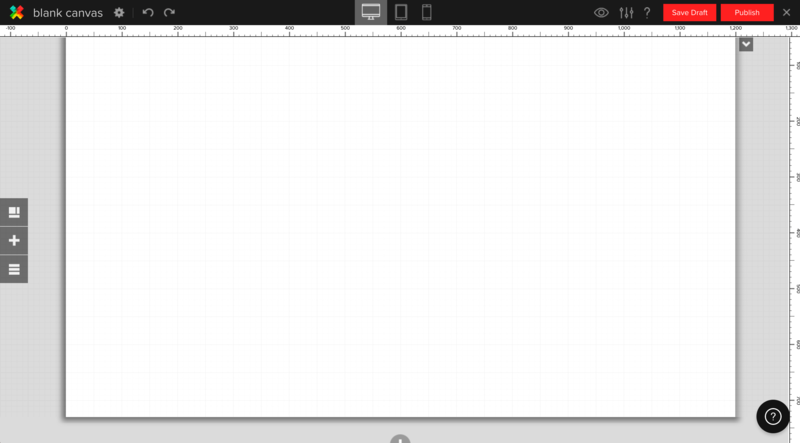 This template offers a clean and simple layout with the option to upload your café menu as an image or simply attach it as a pdf. It also includes an image gallery, contact form, map, Instagram feed and social media icons. Optimised for all devices. 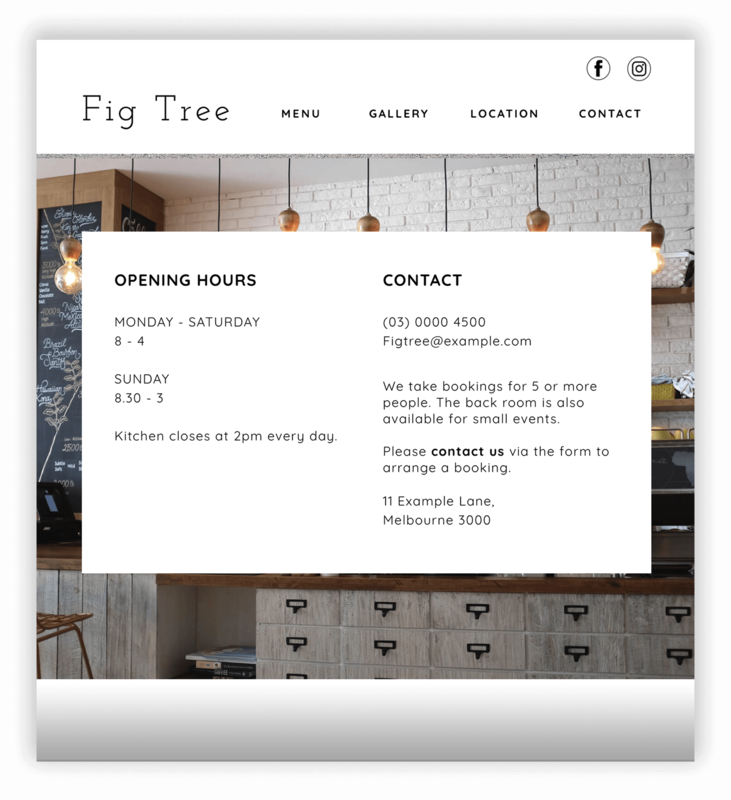 This vibrant but simple website is created for those who want to have their website up and running as soon as possible. 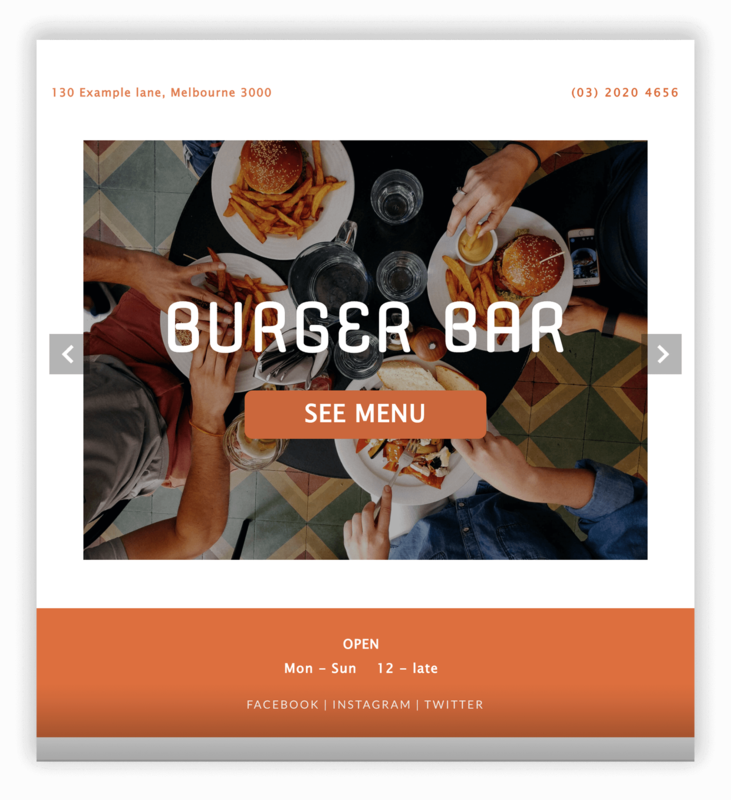 It allows you to easily upload your menu as a pdf, then all you need to do is replace the images and contact details. Simple as that.